August 2015 – COLONA WATERSPORTS Ltd. Kitesurfing windsurfing SUP. Hurghada Egypt. CORE official store in Hurghada. We are very excited to announce that Colona Watersports is an official CORE Kiteboarding store in Hurghada. 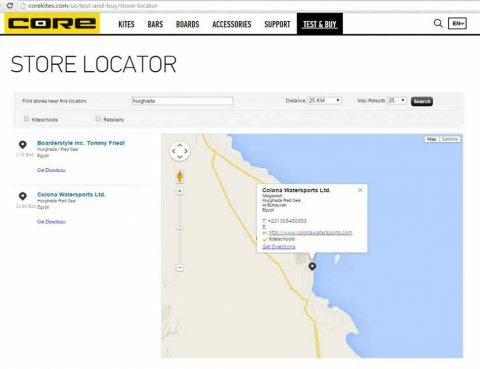 Please visit: http://corekites.com/us/test-and-buy/store-locator You will find us under Hurghada.